Recently we saw that, Tata is utilizing a lot of it’s time in upgrading it’s already existing cars, instead of focusing on designing some new ones for its market. Yet again, Tata does the same. This time, Tata seems to be focusing on capturing the youth eye balls. Tata Nano sales had dropped considerably in the last year. 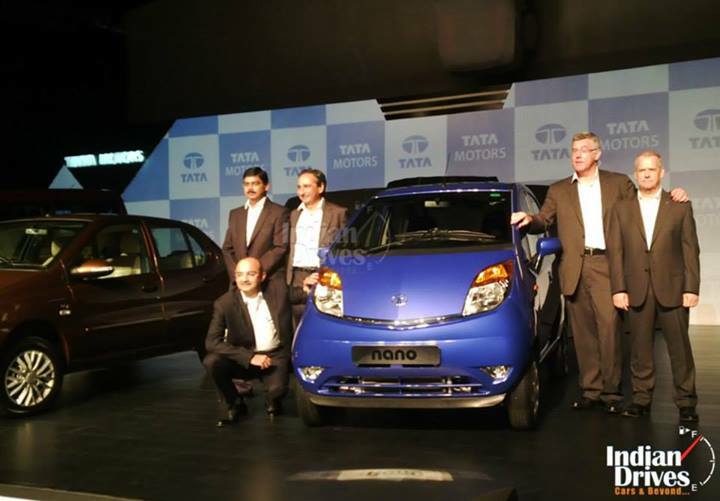 To give the sales a boost, Tata planned on designing several body kits for its Nano. These body kits completely redesign the otherwise plain Nano exterior. Tata Motors launched its Tata Nano in the year 2009. It was launched at the cost of 1 lac rupees, but after its launch the price increased gradually. After the standard Tata Nano, two variants were also launched which were called Tata Nano CX and Tata Nano LX. Although most of the specifications remained the same, Tata Nano LX was launched at price exceeding 2 lacs. To add a much required style quotient to the Nano, Tata Motors planned to design some body kits. As of now, 4 body kits have been launched, namely- Peach, Remix, Alpha and Jet, each having its own style statement. Peach- This kit basically gives the car a tint of pink including the wheels. Both the CX and LX variants get this kit at the cost of Rs 15,000. If you have a 2012 Nano or its variant then this kit will be available at the cost of 16,500 Rs. Alpha- This kit gives a superior feel to the car. Its gives a graphite finish to the body while a crisp piano black texture to the roof. This kit is available for the CX and LX trims for 15,000 and 19,000 respectively. The 20102 Nano will get the Alpha look at 20,500 Rs for LX and 16,500 Rs for CX trims. Remix- Also called as Style, this kits gives the cars basically bonnet stripes as well as side decals and skirts. The cost of this kit for LX trim is somewhere around 27,000 and 15,000 for its CX variant. The 2012 LX will get it for 28,500 Rs while for CX it will be for 16,500 Rs. Jet- With stripes on the front and V shaped spikes for the wheels, this kit gives a sporty feel to the car. It is available at a price of 27,000Rs and 15,000 Rs for the LX and CX trims respectively. Yes, it is true that these kits will add to the car’s appeal for the young population. But what concerns us is, whether this is what will help Nano rise in the market from the fall it has seen?